The reason this urban garden is an experiment is because it was planted on private property without the owner’s knowledge or permission. R. Bentley Marlow is the urban guerrilla gardener. 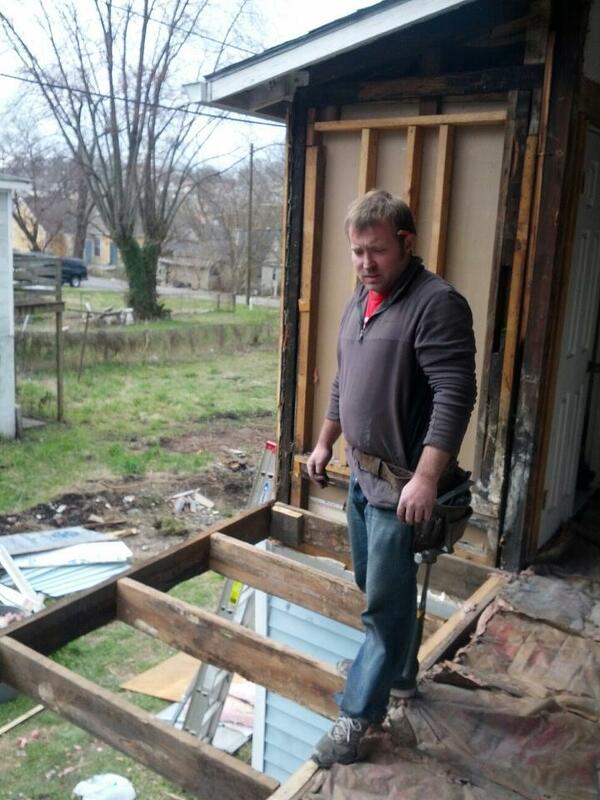 Marlow has been renovating several houses he owns in Mechanicsville, a historic but blighted neighborhood outside of downtown Knoxville. “I’m trying very hard to rejuvenate this neighborhood to its former glory,” he says. Behind one of his properties is a house that has been abandoned for several years. “Before I started mowing that lot, squatters were living in the house. This land was just going to waste, so I decided to plant a garden on it.” explains Marlow. 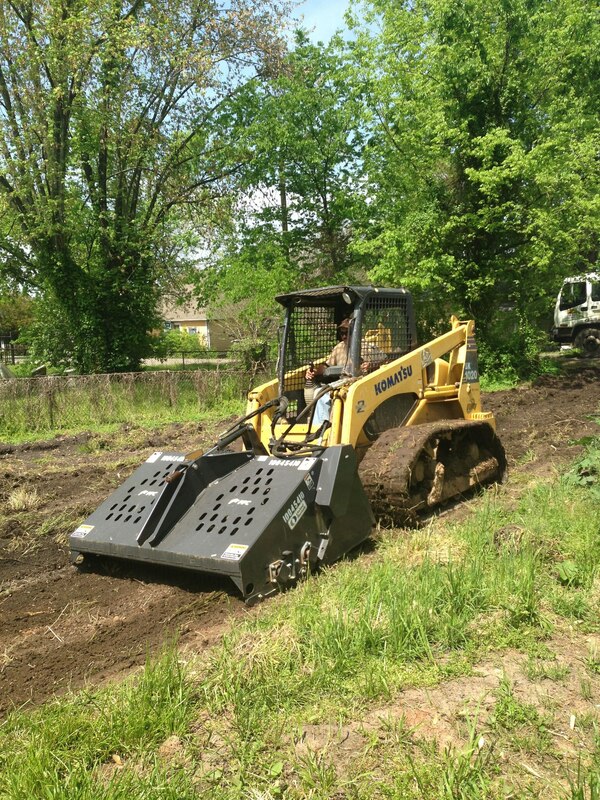 In April, Marlow began cleaning up the yard and trying to work the soil with a small borrowed tractor and plow, but a large quantity of gravel, rocks, and bricks were immediately below the surface layer of dirt. Phil Bonifacio, owner of Acadia Landscaping Company, read about the garden on Facebook and immediately supplied the manpower and equipment to clean up the soil. Acadia Landscaping also designed the garden and donated 15 yards of compost and over 100 Rutger tomato plants. 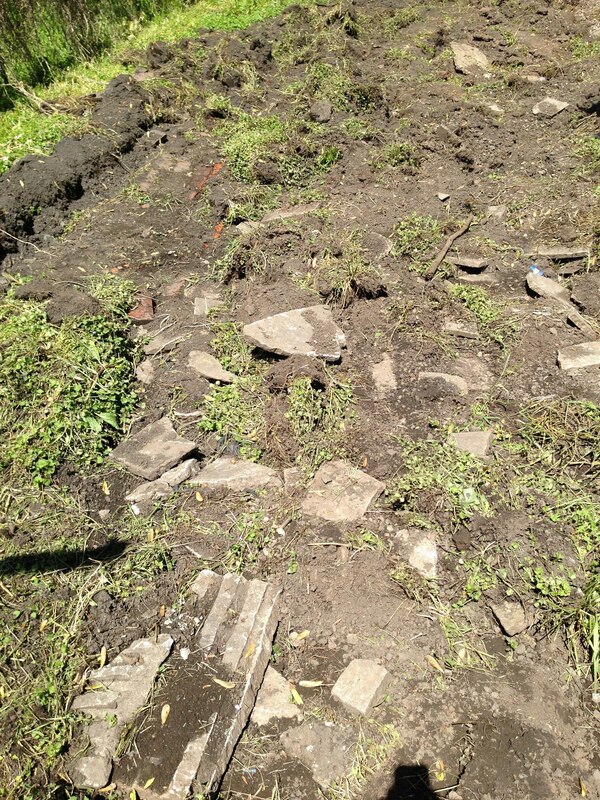 Acadia Landscaping Company removes debris from the soil. Some of the garden’s starter plants were donated. Some were planted from organic seeds purchased with food stamps. Marlow explains, “Most garden shops, but not Lowe’s or Home Depot, will sell seeds for food stamps. Imagine how much money a family can save if they simply had a small garden!” Marlow plans to donate the garden’s fresh produce to Food in the Fort. Part of this charity’s mission provides fresh vegetables to the underprivileged and weekly cooked meals to the homeless. 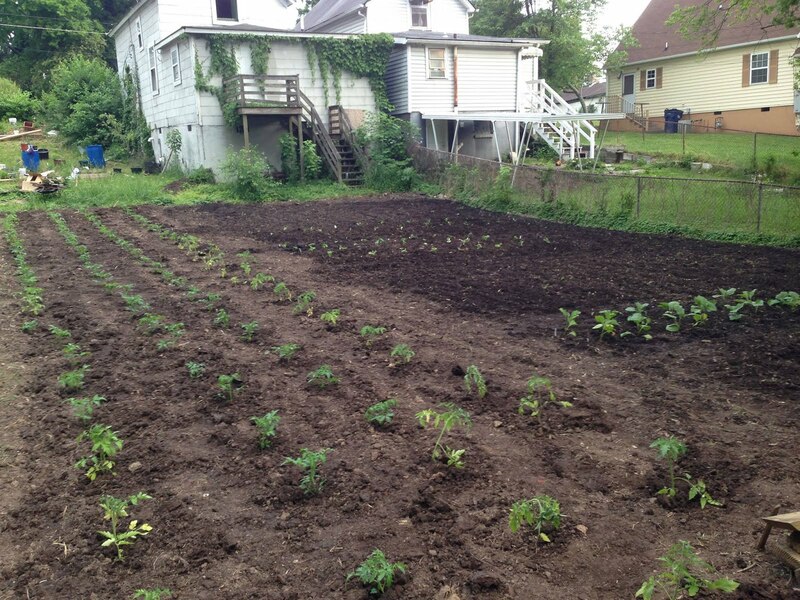 This abandoned property will eventually be auctioned at a tax sale, but right now its backyard is home to a lovely garden filled with tomatoes, broccoli, eggplant, squash, zucchini, peppers, corn, peas, and beans (no GMOs!). Marlow, a few friends, and a neighbor who lives next door to the abandoned property have been trying to keep the garden sustainable. While early summer rains have kept the garden watered, Marlow hopes to use an abandoned cistern and rain barrels to collect future rain water. The Urban Garden Experiment in mid-May. I’m not afraid of a property owner that has neglected his property for years. I’m not afraid of anyone telling me “no.” All who urge, argue, and caution have no standing. Ask me what I’m afraid of? I’m terrified of not doing something. Inaction is the most crippling decision one ever made. I do, therefore I am. [If necessary] I’ll deal with the consequences, make nice, and give apologies later. 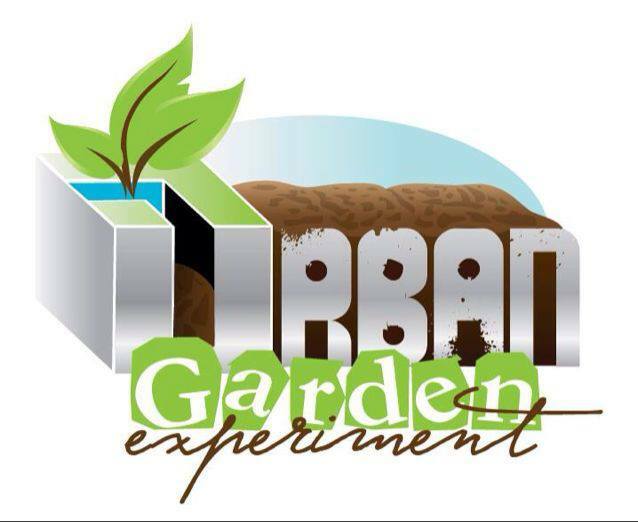 Follow The Urban Garden Experiment’s progress on Facebook. Photos courtesy of R. Bentley Marlow.